This is the Horse that my parents bought new in 1979. 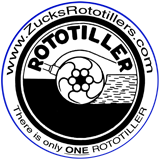 This webpage is not about the tiller above, but about a truly great company that cared for their employees and customers and their devotion to building and servicing a fine tiller. The resource for the following article is from almost 2 hours of conversation with several former employees of the Garden Way Company in a visit to The Burden Iron Works Museum in 2007. Dean Leith Jr.: Started at the company in 1966 as sales manager and was there until 1990. Donna Done: Her father, Dave Done worked for Rototiller, Inc. and her Uncle was George Done, inventor of the Model T Rototiller and the Trojan Horse (later renamed Troy-Bilt Horse). Allen Cluett: Allen's father worked for Rototiller, Inc. Allen started at GW in 1969 in charge of factory service and was in Manufacturing Engineering when he and three others were abruptly walked out in 1981. 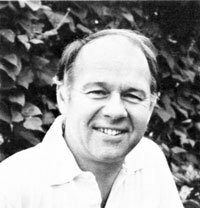 George Dunham: George started his career working for Rototiller, Inc. Later as a sub-contractor for Garden Way, he is credited with making over a million tine hoods. Donna Done: Rototiller/Garden Way was truly a family company. Donna’s father, Dave, her uncle George, and Cousin Janet all worked for Rototiller, Inc. and Garden Way. Donna started working there the summer of 1969 – “I was dragged out of the pool at home by my dad Dave, and delivered to file for my cousin Janet Done daughter of George Done”. After high school graduation she worked in the mail room. The next step was accounting where she did payroll and sales accounting. She said that one year business was so good the company decided to give every employee 14 weeks extra pay in 14 separate checks. Donna remembers this well because she did payroll then. At one point they had a 26 week backlog of orders. From there she went to the Parts Department, handling phone calls, took parts orders, created invoices for shipping, and again updated sales accounting. One interesting story she related while working in the Parts Department was a fellow in Hawaii needed parts for his tiller and normally it would take 6 weeks. Donna told him he would have them by Friday. She was headed to Honolulu on vacation and took the parts along and dropped them in the nearest Post Office Box. She contacted him after she got back from vacation and he said “how did you do that”. Donna said “the best times at Garden Way were the times we went out to meet the customers. Sometimes delivering parts and sometimes just to listen to their gardening stories that we would promise we would go back and tell Dean”. The factory would send 2 or 3 people out together to visit with tiller owners to see what they liked and did not like. Not only did this show owners that the company was behind their machines but it also mixed people from the plant floor with people from the office. Donna said it was a highlight for her with maybe an exception one year when the tiller owner they visited had thousands of pigeons. She said there was poop everywhere. She put that aside and said to the owner “where is your tiller” and went on with the task at hand. Around 1978 Garden Way was looking for someone who knew business and wanted to learn programming and computers. Donna answered the call and worked from August 1978 until February 1996 in the Information Technology Department. Throughout her years with Garden Way she, like many others, was willing to help where needed to do whatever it took for a successful company. There was no “well that’s not my job” attitude. Donna related how when she is somewhere today and hears “that’s not my job” it makes the hair stand up. Have you ever heard the term "better known elsewhere"? Donna said when she met someone in Troy and told them she worked for Troy-Bilt, they would ask "Where is that located?". But if ask the same question anywhere else they knew immediately where the plant was. Often times we don't realize what is in our town. Donna is now retired and volunteers at the Hudson Mohawk Industrial Gateway museum which just happens to have the vintage Rototiller collection saved when Garden Way closed. George Dunham: George started his career as a production welder at Rototiller, Inc. in late March of 1949 and worked there until December 1956. When he started there were about 300 people there and production was about 100 a day. Later on in George’s time there he was made foreman of the welding department and was involved in prototype work. He had the utmost respect for George Done and enjoyed working with him on improvements that were made. At one point a change was made to the Model 2 & 3 with the low speed driven sheave size that required a separate belt. So where do you store the second belt? George came up with the idea of storing it inside the belt cover using a short piece of the steel strapping from bundles of steel that came to the factory for the manufacturing process. He was one of those fellows with extraordinary common sense in coming up with solutions to a problem. While working at Rototiller, Inc., George had a dealership selling Rototiller products. As a Rototiller dealer, he would have a stand the Schaghticoke Fair. He would have a B1-3 Rototiller tethered to a stake and it would go round and round all by itself until it ran out of gas. He had a sign mounted saying “Look Ma, no hands”. It was an advertising ploy aimed at the front-tine tillers which included the Gravely. George was a fellow with much natural mechanical ability. In an interview conducted by Dean Leith, George said “the only thing I regret is not having to been able to spend more time with George and having some of his knowledge rub off on you because if you work with somebody long enough you’re bound to be able to pick up some good habits along with some bad habits”. To me that says a lot about George Done, because George Dunham was very knowledgeable in his own right. George was involved in building the prototypes of machines that Kelsey came up with. The 1955 Model 5 Rider shown here is one such piece. George he and Dave Done worked on it for a year on and off and rumor had it back then that $105,000 was spent on development and only 25 were built by hand one by one. There were problems with the elaborate belt drive system and it was just pretty clumsy. During development one day George mounted the steering tilted way out front as a joke. Kelsey later came down to the shop and liked it and that is the way some of them were built. 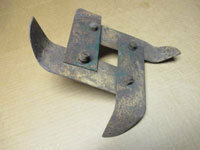 The tiller housing did not hold up well either. At some point George started making the hoods for the Troy-Bilt tillers. He designed the machine that rolled the hoods. 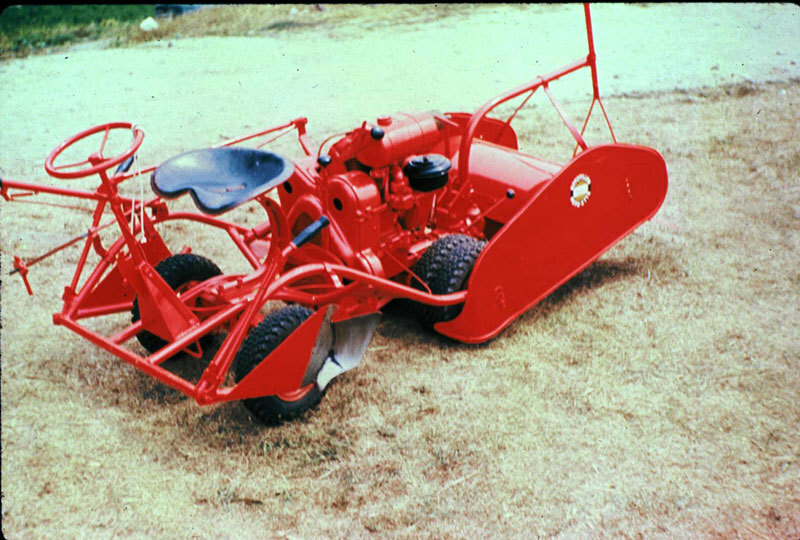 He is credited with making over a million hoods for Troy-Bilt tillers. He was the manufacturer of the hoods until Garden Way closed it doors in 2001. In the last troubled years of Troy-Bilt it got to the point he required payment for the previous shipment before he would release the next shipment. Shortly after I made my initial Troy visit in 2007 George passed away at the age of 80. Photo of Model 5 Rider courtesy of Rensselaer County Historical Society in Troy, NY. 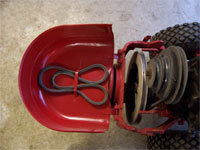 Dean Leith Jr.: One article I read called Dean ”the face of Troy-Bilt”. Almost any advertisements coming from Garden Way in the 70s and 80s had his smiling face. When I met him I was not disappointed, he is the friendly fellow that one expects. I could tell he took a lot of pride in the Troy-Bilt that was and the people that made the company great. 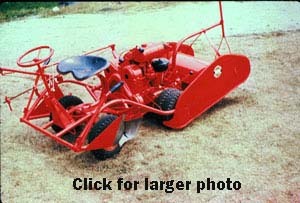 Dean started with Troy-Bilt in May of 1966. At that point the tiller was called Trojan Horse and the plant was producing about 150 units per year. The company had total of eight people which included George Done, designer and head of the company. Dean said George and his daughter, Janet single-handedly ran the place. They saved newspapers, went to the supermarket and picked up cardboard boxes and brought them back and cut them down to use for shipment of parts. George would go to the foundry and pickup castings needed for manufacturing the tillers and numerous other things that needed done to run a factory. Many things fell into place that made these machines popular. The movement started by the book entitled Silent Spring brought much more attention to the environment. The hippy movement with their back to nature movement along with a fast increase in food prices got people interested in raising their own food. People that never had a garden started one, those who had one made it larger. The demand was there for a machine to work the ground. Allen Cluett said “By the time I got there in July '69, they were making 15 tillers a day with 40 people and it started to double every year after that for 6-8 yrs”. By 1981 there were 850 people making 425 Horses a day in addition to the Pony model. The company produced 104,000 tillers that year. In 1984 they produced the one millionth tiller. That tiller went to a customer in PA free of charge. Dean told of the time that they could not get bolo tines due to a steel strike, so they installed chopper tines on approximately 40 thousand tillers. They promised customers bolo tines when they became available. Sure enough they honored their promise sending Bolo tines out to every customer who did not get them on their tiller. Not only did this please the customers, it impressed the employees that the company did this. In another related story, Dean told of one of the “owner visits” he and other employees made to visit a customer, where the bolo tines the company sent were still on a shelf unopened in the owner’s shop 15 years after they were sent. Dean ask him why he never installed them and the owner said he didn’t need them yet. Owner visits were done by employees from the factory. They would go out as a team consisting of a person from the office, someone from parts, and another from service and find out the likes and dislikes of the tiller. Dean related how he delivered a Troy-Bilt as part of his family vacation to his hometown in Michigan. He loaded up the tiller in the back of his station wagon along with his 3 children ages 10 and under and delivered it. This was early in his career when every sale counted. Dean was instrumental in establishing Capital District Community Gardens (now called Capital Roots) in 1975 as a community service project of Garden Way. It provided gardening space and assistance to people in the region who wanted to grow a vegetable garden but lacked a place to do so. Today there are 51 community gardens and other related projects as a result of Dean’s initial effort. Dean, Donna, George, and Allen all agreed it was actually enjoyable working there. It seemed like family. Dean said George Done was always concerned for “the guys on the floor swingin’ the hammers”, wanting to make sure there was enough of them and paying them bonuses when they could. George was a manager who never forgot where he came from. Donna related that you worked where you were needed to get the product out the door. That is not heard of much these days. The aluminum company that I worked for was very similar in culture it's early years. One enjoyed going to work and all pulled together to get the job done. I am sure there were many places like that in that era. Dean Leith Jr. passed away January 5, 2017. 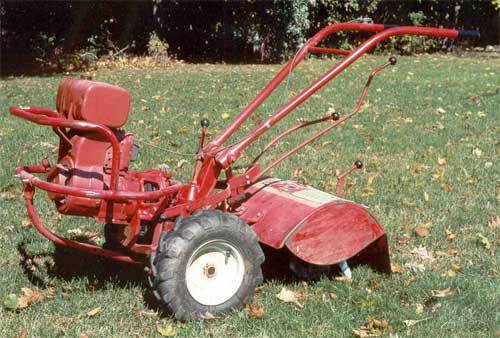 A true icon of the orginal Troy-Bilt brand! Allen Cluett: Allen grew up exposed to tillers as his father worked for Rototiller, Inc. Allen’s father was Sales Manager from about 1946 until 1958, Allen worked there, for Garden Way, from 1969 until 1981 first as a Service Manager and later an associate engineer in manufacturing engineering. Even as a kid he had exposure to the plant and knew Mr. Kelsey well. My first contact with Allen was in January 2007 through a forward from Donald Jones the author of The Rototiller in America. Allen, a trustee of the Burden Iron Works museum, was trying to find a home for the excess Rototiller inventory that the museum had acquired after the demise of Garden Way. He contacted Donald as a result of a Google search. Although Donald was not interested he thought that I may be able to help. I was ecstatic at the thought, as many of those tillers that I dreamed of collecting but never thought I would, might be in that inventory. Of course, I had to make a trip to Troy, NY to check this out and did so that summer. Allen arranged a “round table meeting” at the museum with the people listed on this webpage. Fortunately, I took a recorder along and was able to save the history of that meeting. We have become great friends and fellow Rototiller history buffs. On my next trip to Troy in 2012, we spent a day at The Rensselaer County Historical Society going through many boxes of records from the Garden Way archives. Together we learned much. Allen has shared so many stories over the years and even made it possible for me to tour the inside of the factory building where Rototillers were made starting in 1937 and later the Trojan Horse and Garden Way Troy-Bilt tillers. There is another project that Allen has worked hard at along with a former Garden Way employee, Choppy Wicker. They formed a verbal partnership in order to find a good home for a 1937 Rototiller tractor known as RT-1, that was headed for the scrap yard. Choppy was instrumental in saving it after Garden Way closed. It is a prototype unit with a 58” rear mounted tiller the size of a Ford Fordson tractor but powered by a Chrysler 6 cylinder engine. That tractor tiller was later adapted to a trailer mounted unit and sold to the military during WW II in order to prepare cleared jungle space into makeshift runways in the western Pacific. 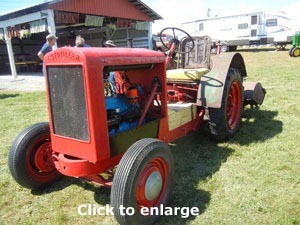 It now resides at a local chapter of the Tri-State Antique Tractor Club and is in the process of being restored. Photo of RT-1 provided by Allen Cluett.